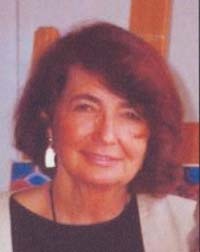 Betty Barker Dondero passed peacefully at home in Mercer Island, Wash., on Nov. 22, 2011. Born June 21, 1926, in Alameda, Calif., she is survived by her husband, George Dondero; their children Barbara Duval of Mercer Island, Wash., and John [Carey] Dondero of Ketchum, Idaho; and grandchildren Alyssa [Michael] Edwards, Bellevue Wash.; Will [Amy] Duval, Ketchum Idaho; Charlotte Duval, Seattle, Wash.; Steven [Cindy] Dondero and Kris Dondero, Ketchum, Idaho; and Kate Dondero, San Diego Calif.. She will also be deeply missed by her five great-grandchildren, Nicholas and Lucas Edwards, Cash and Slader Duval, and Tessa Dondero. Betty brought a special kind of elegance to everything she did, from a camping trip to a dinner party. She especially enjoyed spending time with her family and friends in the mountains both summer and winter. She loved to cook and sew and was an accomplished sailor and an avid tennis player. She will be remembered by many for her warm smile and the special way she made everyone feel when she welcomed them into her home. Betty and George lived for 27 years in Marin County, Calif., before moving to Idaho in 1975. Betty was active in the Moritz Community Hospital Auxiliary, the Ketchum Library Board and worked for many years at the Sun Valley Nordic Center. There will be a celebration of Betty's life this next summer in Ketchum.